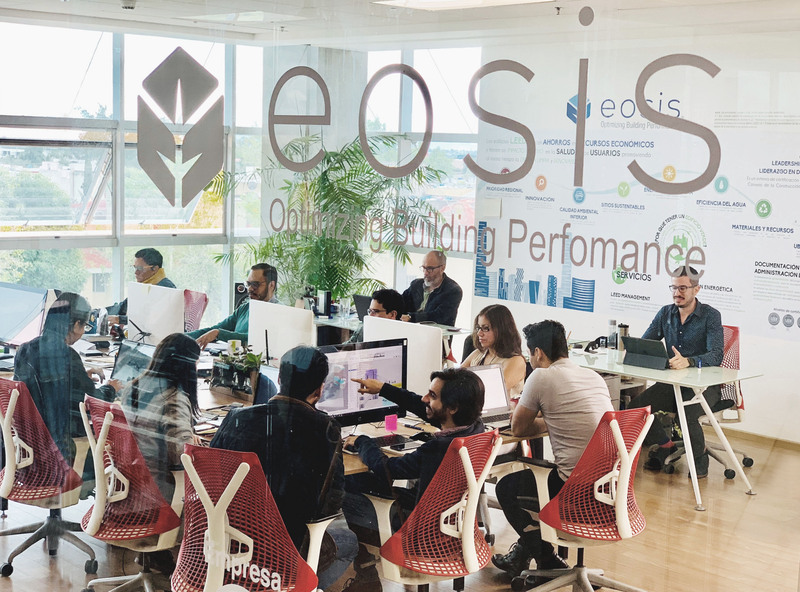 Eosis office achieved being one of first 10 spaces in North America certified as LEED® ID+C: Commercial Interiors, v4, Platinum level. 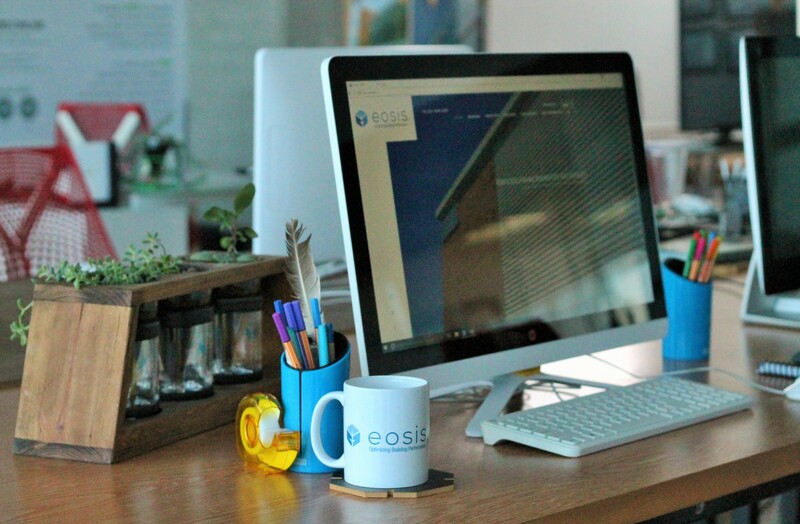 To ensure the best indoor air quality and comfort, both a CFD and a BEM simulation demonstrated that passive ventilation through operable windows was possible, and a CO2 meter was also installed to constantly monitor the office’s carbon dioxide levels. 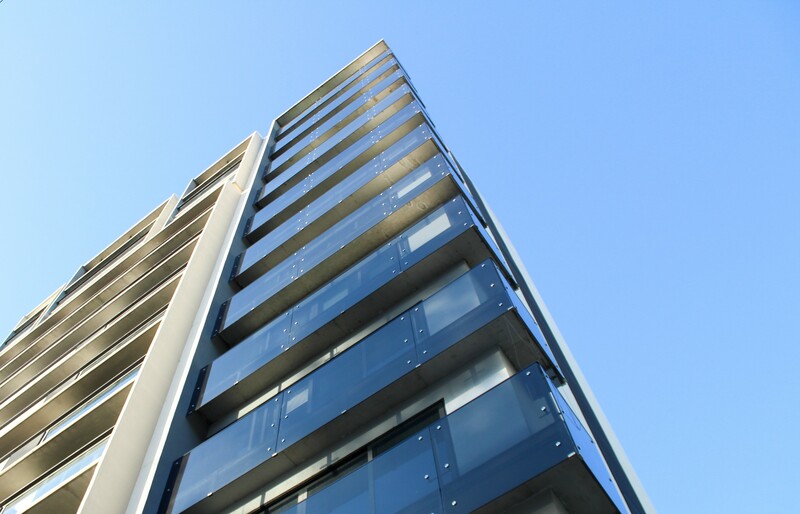 To manage thermal gains, a building science scheme was designed, including a solar chimney, which provides effective ventilation to all office spaces. Through strategies of daylight harvesting that included glare control, daylight sensors and LED dimmable panels installed, health of users is enhanced both by improving the circadian rhythm of the users and ensuring the right amount of light at all times. 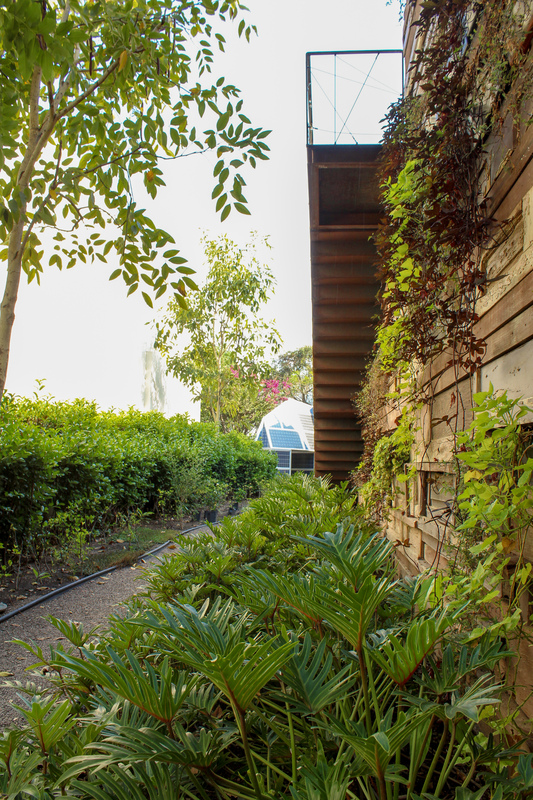 By using biophilia as a strategy to increase well being, all users have unobstructed views to the exterior and each workspace has an endemic, low water consuming succulent plant. Another healthy strategy that is promoted by the base building is the encouragement of using the stairs rather than the elevators, by including preferable line of sight directly to the staircase and multiple signs which explain why it is better to use them. Two other strategies are bike racks and showers. Water efficient fixtures in conjunction with a rainwater harvesting system reduce 46.2% of the potable water consumption. To measure all energy end uses, advanced metering devices were installed to collect data for more than six months and provide information for optimized energy management. Almost all electronic equipment is Energy Star rated, and is connected to a timer that turns power off after work hours. 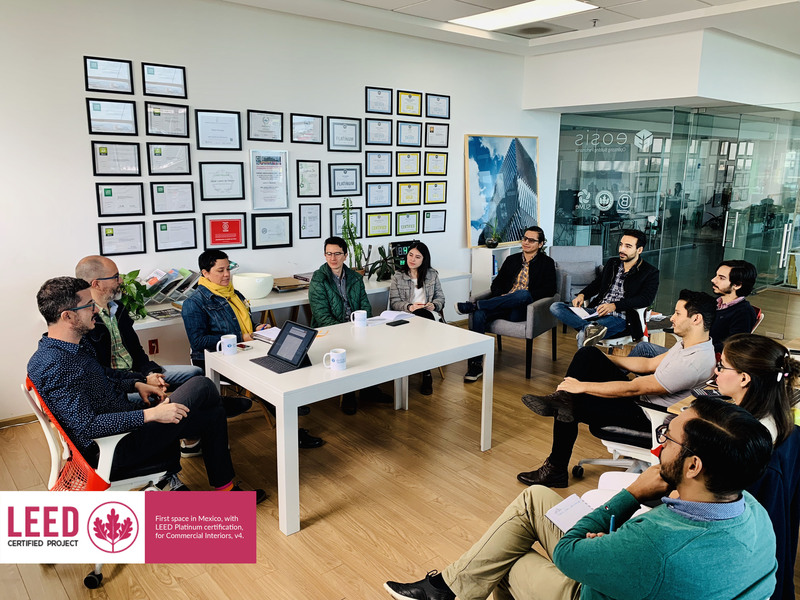 Even if the base building did not allow to install any photovoltaic panels, renewable energy credits (REC) were acquired for the whole amount of the office energy use for 5 years. Also, green education allows students and visitors to learn green features. The selected furniture is ensuring both comfort and user’s health through ergonomic design, like the chairs, which were designed with less materials, less components, and with high percentages of recycled content. The chairs are part of a take-back program called rePurpose and have EPD, based on their product LCA. The project is located near different bus stations and basic services, thus no parking is required or provided. 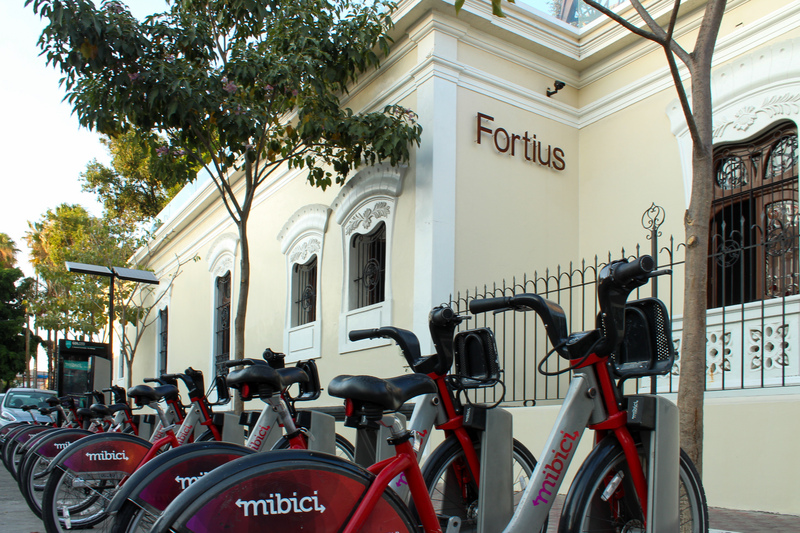 Outside the building there is a bicycle-sharing system station and Eosis covers all of its collaborator’s annual fees to promote its use. 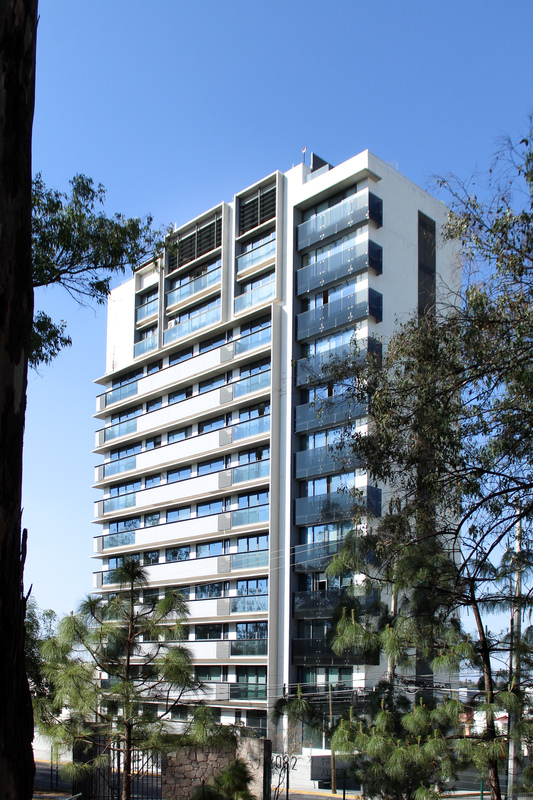 We are proud to announce the Tre Alberta Tower certification, the first fully residential building in Mexico with LEED NC v3 certification. 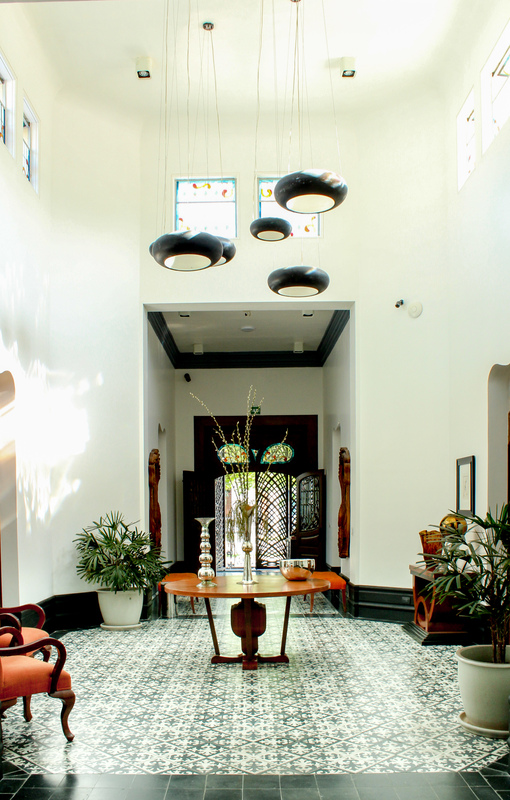 The building was design by Paolino Di Vece and Elias Rizo, recognized mexican architects. Balken, a company with more than 30 years of experience on construction projects, including hydraulic infrastructure, rainwater collection systems, concrete structures, sports centers, hospitals, malls, restaurants, and industrial warehouses. 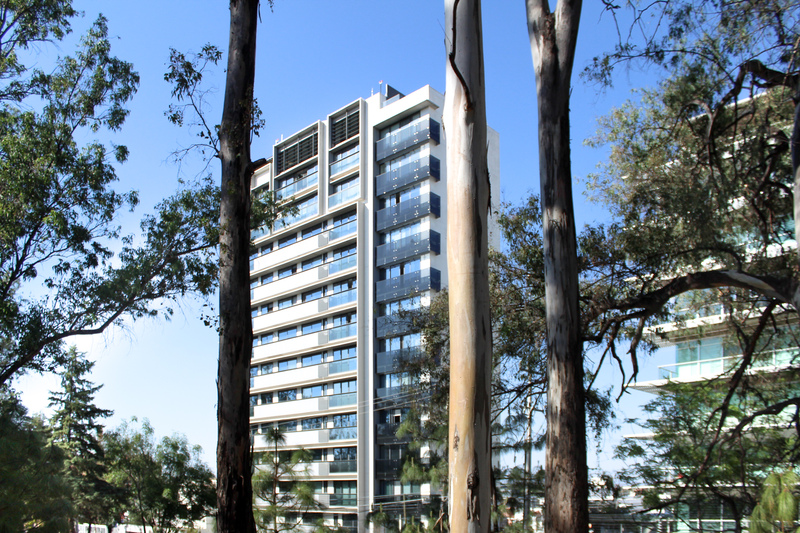 The building has a series of sustainable features, which together help achieve high levels of energy efficiency and water savings. The commissioning process it was led by Ibalca and the LEED consultancy by Eosis. architectural features prevented excessive solar heat gains to ensure energy performance. Rainwater harvesting, renewable energy generation to heat water and generate electricity, significantly reduce environmental damage and make Tre Alberta a low cost maintenance building. 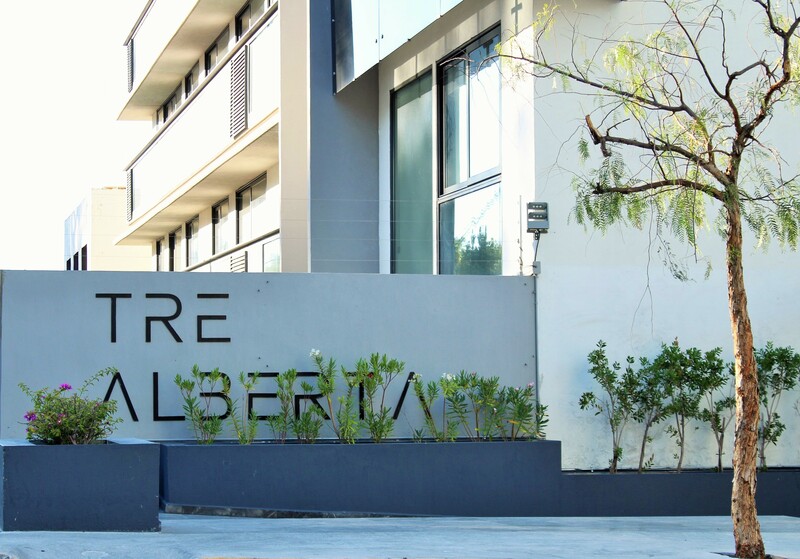 Tre Alberta has become a benchmark in Mexico, as is the first fully residential building to achieve a LEED Certification and ensure air quality for its residents. Tre Alberta tower has 14 stories with 36 dwelling units. It includes common areas available to all residents, such as green areas, a pool, a gym, a multipurpose room and bicycle racks to encourage alternative transportation. Some of the environmental aspects of the project that were important throughout the design was to maintain the sustainable character of the building, therefore, the systems, products and materials chosen, were carefully reviewed by the LEED consultant and the design team in order to keep the building performance optimized and in tune with the environmental goals of the project. 100% of regularly occupied spaces comply with ventilation rates according to ASHRAE-62.1 2007. 100% Chlorofluorocarbon-free air conditioning system. 100% of the parking spaces are underground, reducing the heat island effect. 100% of rainwater collection and treatment which extend the city drainage useful life. 35% of water reduction in bathroom fixtures. 10% reduction in energy consumption which reduces carbon footprint for decrease the needs of fossil fuels. Renewable energy systems such as photovoltaic panels and solar water heaters. Area for separation, collection, and storage of recyclable materials. 24 Bike racks to serve 15% of all building users and encourage alternative transportation. 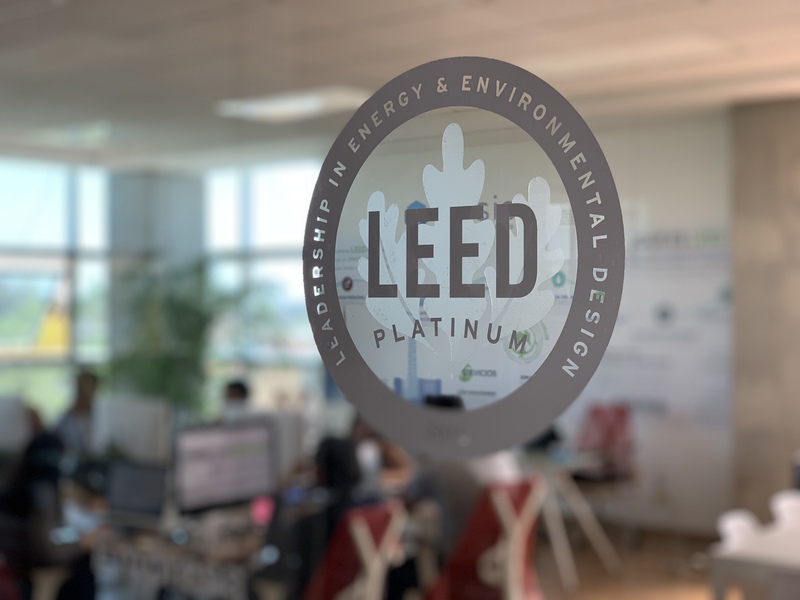 We are very proud to announce the achievement of LEED NC V3 Platinum certification of the project Fortius II, a 100 years old building renewal in Guadalajara, Mexico. 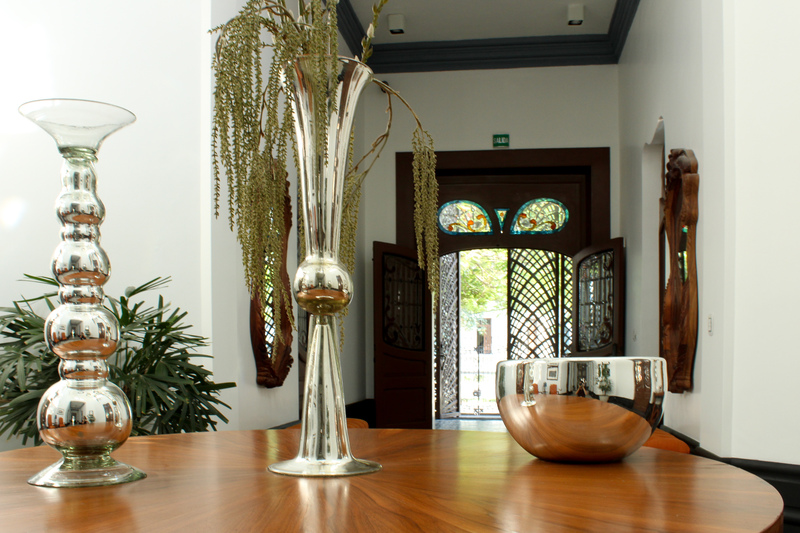 For us this is a special project for several reasons: In the first place is remarkable the commitment of our client. This is the second of 3 different own offices buildings registered for LEED by Fortius, one of which was the first (and until now the only) with LEED platinum in the city. His CEO, Sergio Alcalde, is an unquestionable leader of good entrepreneurial practices, included his commitment with sustainability (he drives one of the few electrical cars that is completely charged by clean energy) and aside his company’s investments in renewable energy (Fortius owns the largest Solar farm in the region) is always concerned in improving health and worksite conditions for his employees. Secondly, the building is once again a remarkable historic building renewal. 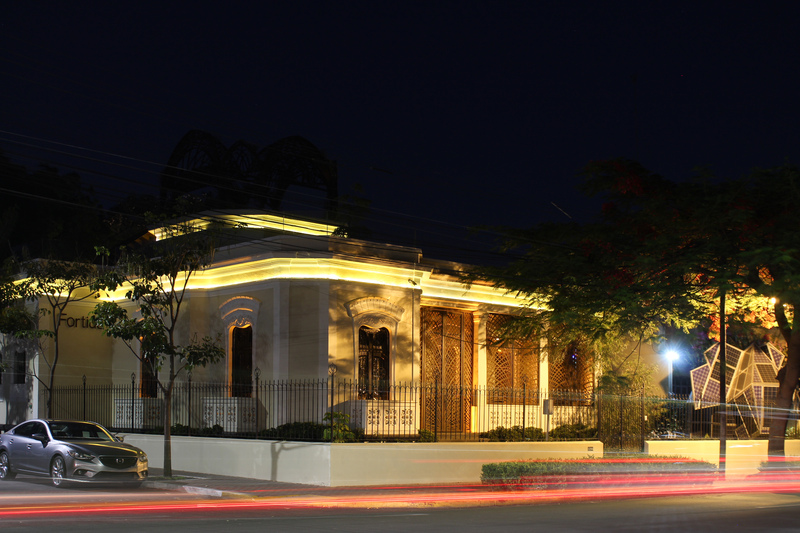 This is the second 100 y+ building restored carefully not only to maintain the original architectural features, but also adapting new technologies to the existing spaces. Also, the decision to remain in central locations within the city requires commitment and effort and is creating the possibilities to reduce transportation impact by attending in public transportation, bike or walking. Is also helpful to restore the urban fabric by reincorporating the buildings to the valuable building stock. 100% of the spaces regularly occupied with natural ventilation, 91% of office hours in thermal comfort, mainly by recovering the original strategies, including high thermal mass temperature storage, very high ceilings, cross ventilation, stack effect heat exhaust and excellent insulation in adobe walls. No new parking space provided. Only 3 existing parking spaces, of which one is preferred to low-emitting vehicles and or fuel-efficient vehicles and has an electric vehicle charging station and a second one preferred for carpool users. 56% savings on energy consumption in the building helps to reduce the carbon footprint from the use of fossil fuel sources, and 30% of the total energy of the building is generated by photovoltaics. 100 % of the rainwater of the roof is captured which lengthens the useful life of the drainage of the city and 51% of total water use water is saved in high efficiency fixtures with rainwater reuse. 76% of the existing building was reused and the new materials are predominantly regional, even handcrafted in a 1km radius.